GVM TranSpread models are available in 5.5 ton and 8 ton versions with either ground wheel drive and plug to tractor spinners, or with computer controlled conveyors systems and plug to tractor hydraulics. 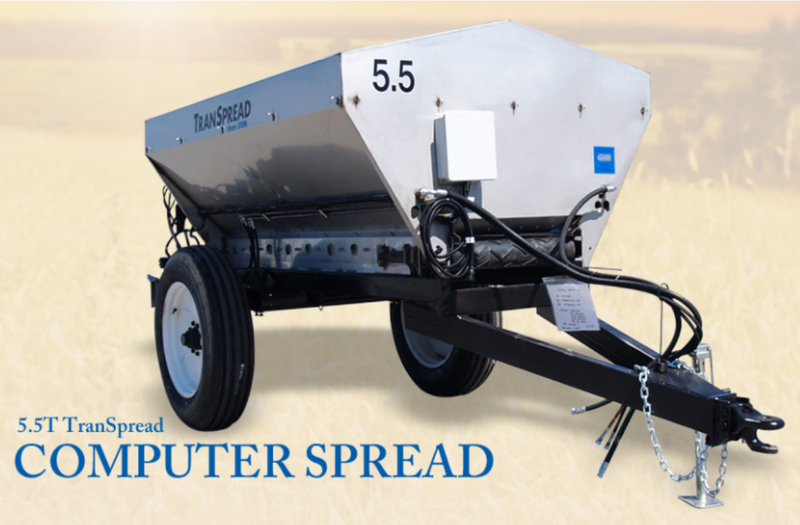 These spreaders feature 12 guauge, 304 stainless steel construction with 33 inch wide continuous loop cleated rubber belts capable of spreading lime, gypsum, poultry litter, and fertilizer. The patented spinner system delivers a wide, uniform spread pattern that allows spreading intervals of 35-45 ft. for lime and 60-90 ft. for fertilizer.